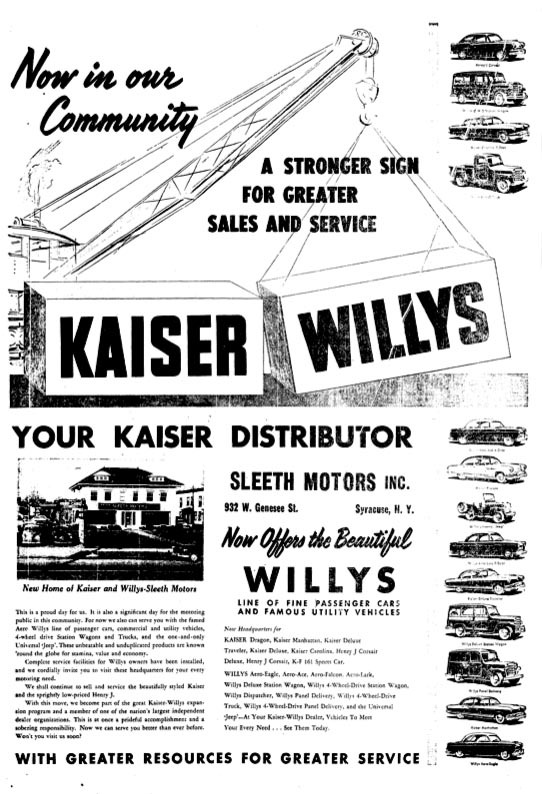 Alden Jewell sent along a couple more 1953 Willys newspaper ads. 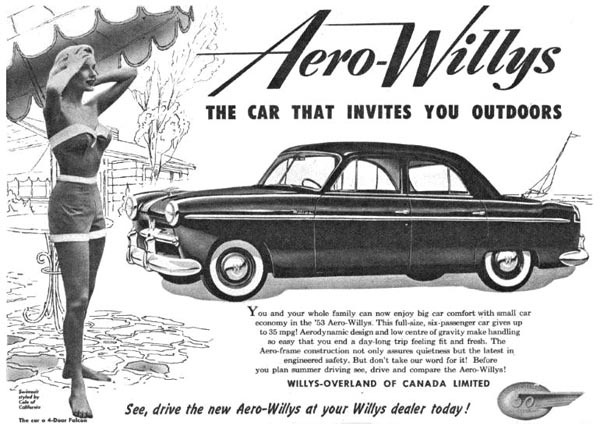 These are larger display ads which appeared in Canadian newspapers but are probably based on artwork prepared for Willys in the U.S. As with some of the 1953 Farm Journal Ads, the first one features both the Willys truck and the Universal Jeep and sells them as working vehicles. 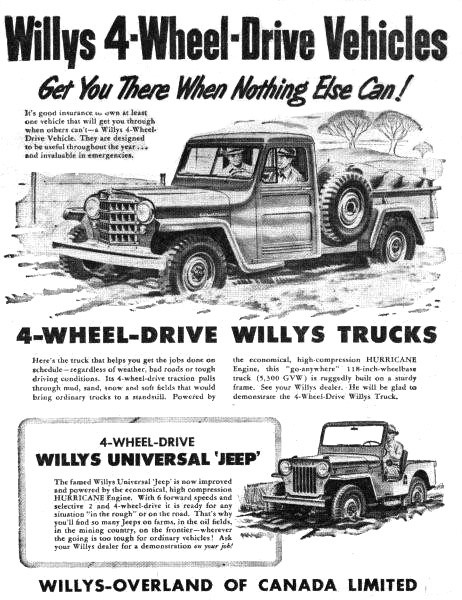 The picture at the bottom is a version of the Universal Jeep found on the 1953 Jeep Transportation for the Oil Industry brochure. It's another one of those inaccurate CJ-3B drawings apparently modified from earlier CJ-3A illustrations. 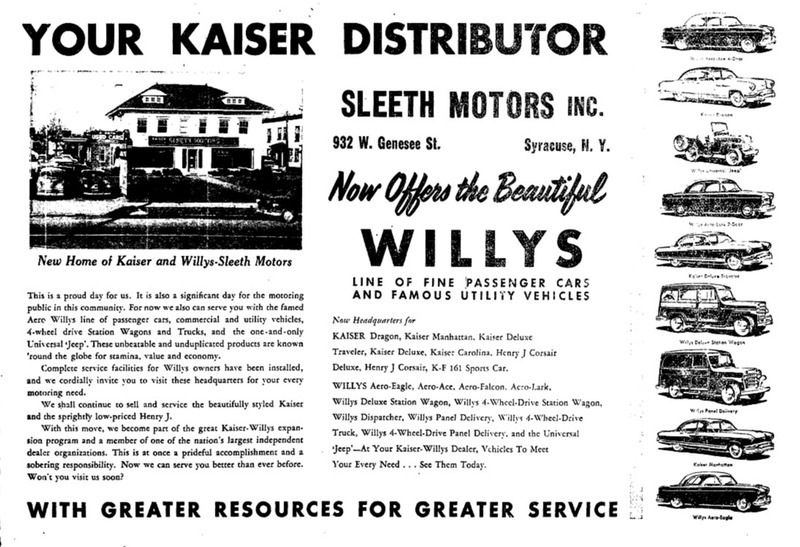 "With this move, we become part of the great Kaiser-Willys expansion program and a member of one of the nation's largest independent dealer organizations. This is at once a prideful accomplishment and a sobering responsibility." You can read the full text in a closer look at the bottom half of the ad (180K JPEG) which I found at NewspaperArchive.com. See also Long-Lost 1953 Newspaper Ads on CJ3B.info.